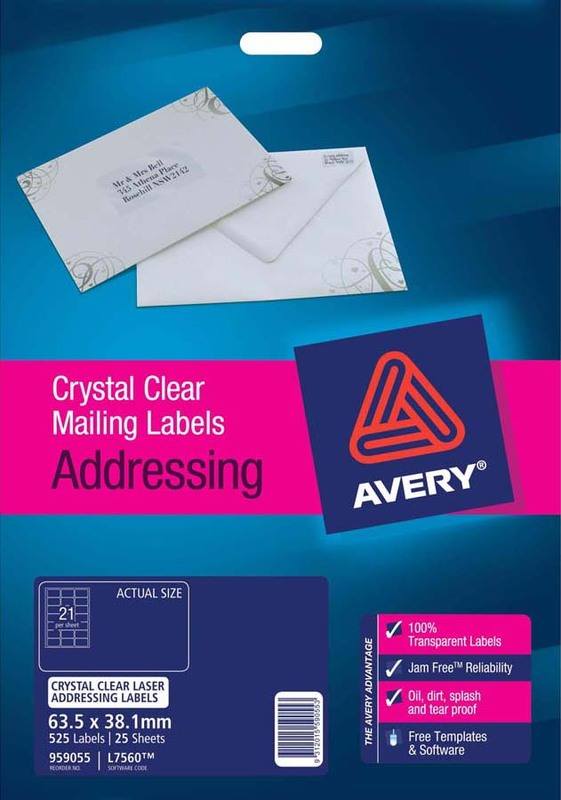 Give your invitations and letters a professional and customised finish with Crystal Clear Address Labels. 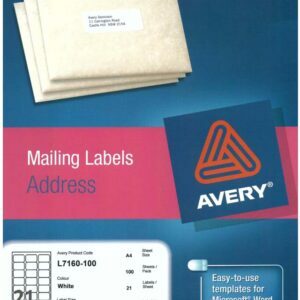 These glossy labels are 100% transparent and are incredibly durable (oil, dirt, splash and tear proof), adhering to almost any polished surface. 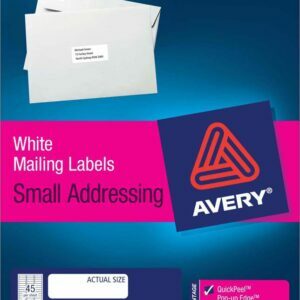 These labels are the perfect size for return address details on coloured envelopes, corporate events or wedding invitations. 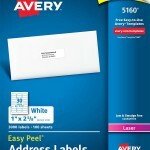 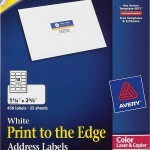 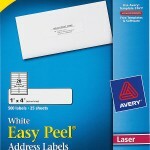 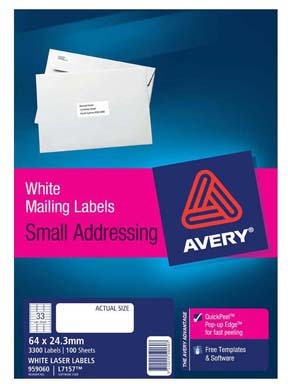 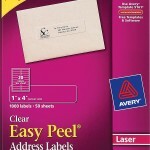 You can create custom labels using free Avery software and templates at averyproducts.com.au.